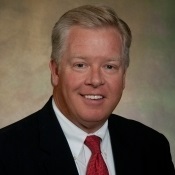 Lang MacBain | Consolidated Planning, Inc.
Lang, was born in Richmond, Virginia and was raised in Charlotte. Lang currently lives in Charlotte with his wife Rachel. Together they have two sons, Taylor and Charlie who are both active students at N.C. State University. Lang is a member at Carolina Golf Club and along with playing golf, he enjoys hiking, hunting, and fishing. While his sons attended Myers Park High School, Lang served on many student and atheletic committees. Lang served as President of The Myers Park High School Mustang Club and oversaw many fund raising efforts, including the purschase and installation of the new Jumbo Scoreboard in The Gus Purcell Stadium. An N.C. State Alum, Lang has been a Financial Advisor with Consolidated Planning since it was founded in 1981. Lang has spent over 30 years serving and helping business owners and other professionals. Lang specializes in designing and managing Retirement and Legacy Planning Strategies. Lang is an Elder at Myers Park Presbyterian Church. He enjoys serving as an active disciple with The Room In The Inn Ministry, Urban Ministry, and Troop 55. Lang has served on the Board of Directors for Camp Thunderbird and has served in many capacities for the Mecklenburg County Council Boy Scouts Of America. Registered Representative of Park Avenue Securities, LLC (PAS). Financial Representative, of Guardian.